SPECTACULAR, ONE OF A KIND! 3 Bed/3 bath + Over size office with 2 work stations that could be 4th bedroom. Not many of these courtyard pool homes are available in the beautiful Hammock area. This home feels even larger with the 40x35 courtyard which is liveable year round, mostly under roof. 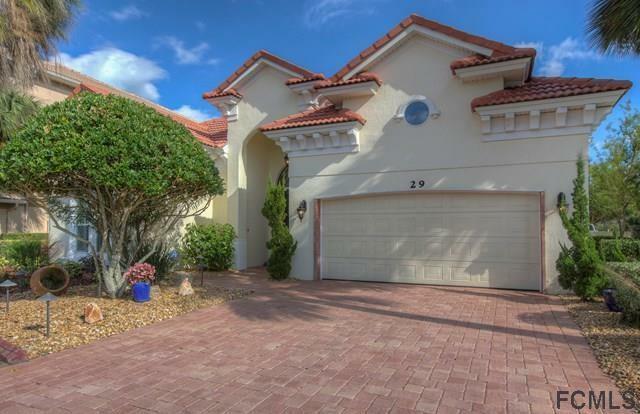 This custom home has been totally upgraded and appears like new. Decorative wrought iron gates at courtyard entrance, surround sound throughout, 2 new AC units installed in 2014, New water heater 2016, new pool heater 2016, Plantation shutters in 2nd suite, 3rd bedroom and office, additional built in wardrobes in master for extra closet space, skylight in kitchen, backsplash tile in kitchen, house water filtration system, new flooring in garage, outside summer kitchen and new screen enclosures in courtyard. The house backs up to a preserve, providing privacy. Sit and relax in your spacious courtyard and hear the sounds of the ocean only a block away.